DesignFlex Blogger Template has super Awesome design and 100% responsive layout, Perfect theme, super elegant, premium and stylish blogger theme. Get this template for FREE with giving proper credits to us, no support included. DesignFlex Responsive Blogger Template has super Awesome design and 100% responsive layout, Perfect theme, super elegant, premium and stylish blogger theme. 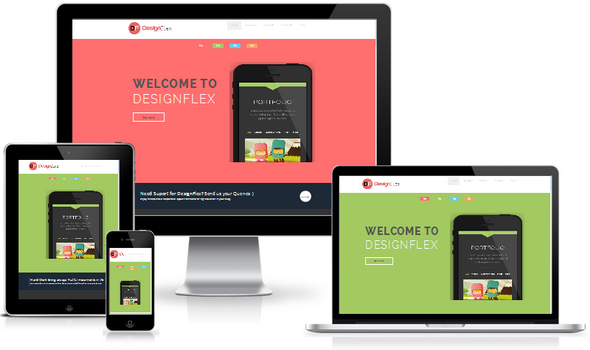 DesignFlex is ideal for designers and photography or perfect for portfolio based website. This theme has so many splendid features and perfect for designers and developers. If you are a developer, photographer or designer and want to showcase your work with your clients, customers and friends then DesignFlex is a perfect theme to fulfill your requirements. We have integrated a cute responsive portfolio gadget that would display your work, projects professionally and will bring awesomeness in the design. 100% Responsive Layout: This theme is fully 100% responsive and will give perfect view on every screen resolution. Most of blogger Templates fail to load on different screen resolutions but DesignFlex is our first theme that would be display perfectly because we load the theme on different devices for testing before share it with our clients and customers. Jquery Slideshow: We have integrated professionally three slideshows. The first header slideshow can be used for futures posts the second middle slideshow would display your latest projects and the third one is working as headline news. You can put your own text and images. For more detail check the documentation file. Contact Form: We have also added a responsive contact us form that is ready to use. To integrate your own email address in the contact form you have to email us for its installation. Because another third party plugin will only work with the contact from. Portfolio Design: Another interesting section we customized in this theme has its portfolio section. We have integrated a WordPress like portfolio blog section in DesignFlex to make its more valuable for designers and photographers. Email Subscription Box: To bring more professionalism, we have also integrated a cute responsive Email Subscription below the portfolio section. This would help your readers to join your blog or when someone want to get instant solution or news from your site/blog. We are confidently say, this theme would be your first choice for your next design project. 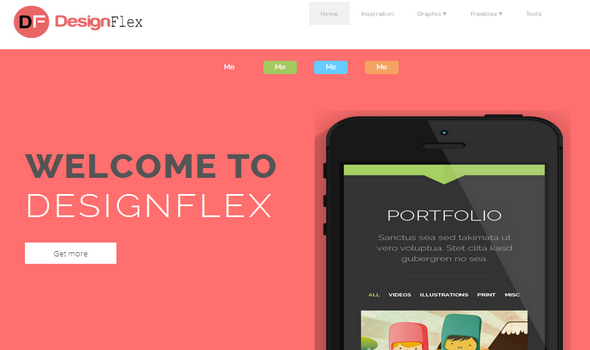 Designers, developers and photographers showcase the work now with DesignFlex. If you need more help with DesignFlex just Let us Know through Contact Us page.